It’s good to see that BIS are staying with the Aho project. This new release comes just a few months after their recording of the Fifteenth Symphony, Double-Bass Concerto and Minea (review) and, in 2012, the Three Interludes and Symphony for Organ (review). 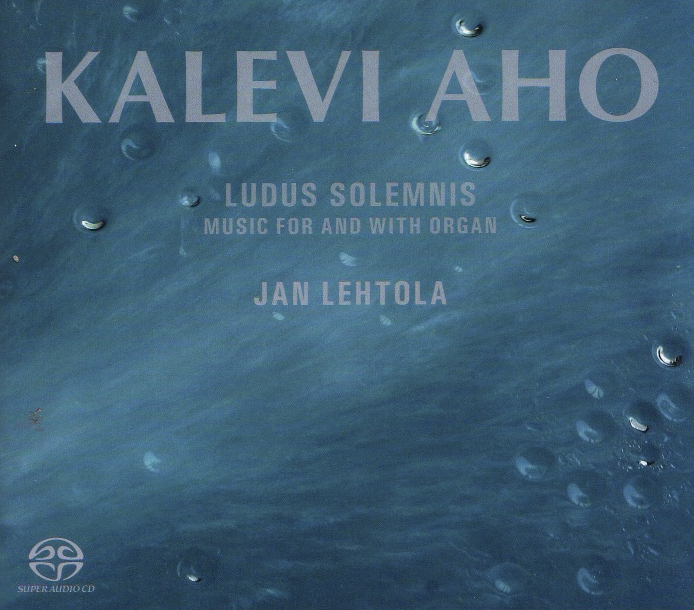 The latter featured Jan Lehtola, one of Finland’s finest – and most versatile – organists. I’ve reviewed his SACDs of Mendelssohn sonatas and Symphonies 3 and 8 by Widor, both of which impressed me greatly; indeed, the latter was one of my Recordings of the Year for 2013. This time Lehtola is teamed up with some equally fine soloists in a programme that mixes the old and the new, not to mention the sounds of three superb organs. The first of these is the main organ of St Paul’s Church in Helsinki, which creates a darkly thrilling backdrop to Petri Komulainen’s virtuosic horn solo in the Quasi una fantasia. Written for these two performers, who premiered it in 2012, the piece contrasts the organ’s warm wash of colour with the horn’s bracing tones. The element of fantasy is there, and Komulainen’s lyrical, finely shaded performance – which embraces quarter-tone scales – is at once shimmering strange and reassuringly familiar. This work is a prime example of Aho’s clear, unfussy style; the music’s also devoid of clichés, which is another of this composer’s core strengths. At about the same time Aho completed Contrapunctus XIV, the unfinished fugue from J S Bach’s mighty masterpiece, Die Kunst der Fuge. Appropriately Lehtola plays this ‘modern’ realisation on the 1998 Porthan organ of Kotka Church, Finland. It’s a weighty, almost forbidding piece whose sheer density rather than its detail is emphasised by this splendid recording. Contrapunctus XIV has more than a whiff of the pedagogue about it, but I suspect Bach fanciers will find much to enjoy here; that said, I prefer Aho when he’s not confined by such formal strictures. Epilogue and Song of the Earth, for organ and instrumentalists, find him in a much more inventive and engaging frame of mind. Epilogue, which followed his Ninth Symphony – also scored for trombone and organ – has all the warmth and spontaneity I expect from this composer at his best. Balancing such forces must be tough, yet the sound of Jussi Vuorinen’s mellifluous, full-toned trombone segues beautifully with Lehtola’s subtle accompaniment. Aho wrote his Song of the Earth, with its nod towards Mahler, for the funeral of his father in 2002. It’s a wistful eulogy whose gently ascending figures – the violin’s especially – speak so movingly of mortal release. Once again I was sorely amazed by the simple, direct nature of Aho’s writing, which communicates with such ease and lack of artifice. Respectively Ludus solemnis and In memoriam are the most outward and interior works here. The first, written for the inauguration of the new organ in Forssa Church, has some strangely elliptical moments – as if the composer had walked through the looking glass – only to build to a firm but stirring finale. As for In memoriam, penned for the funeral of author Juha Mannerkorpi, it surprises with its sinew and shape. The organ’s Stygian reaches – what quiet desolation – are keenly felt; indeed, the 1907/2008 Åkerman & Lund instrument of St Johannes kyrka, Malmö, is a splendid choice for this dark, grief-weighted work. After all that focus on last things the wedding music celebrates new beginnings; all three have a certain gravitas that’s more about the sanctity of these occasions than their bright trappings. As always Aho is plain-spoken, and Lehtola follows suit with straight, no-nonsense performances of these slight but very endearing miniatures. The recordings in all three venues are very good indeed, although they’re not up to the enviable standards of Mika Koivusalo’s class-leading discs for Alba and Fuga. In keeping with the spirit of this enterprise the composer’s liner-notes strike a good balance between biographical snippets and musical detail. Small but beautifully turned; Aho’s Song of the Earth is a real find.